Looking for a job in Vigo County Indiana? The following guide provides a listing of Vigo County top employers to include local government employment portals, healthcare job links, and a variety of schools that provide great teaching and support staff careers. 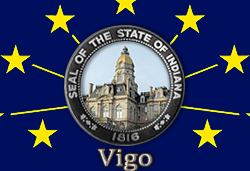 Vigo County periodically posts job openings on their website. During this review there had been open positions such as Auditor Deputy Commissioners Clerk, Clerk's Office Deputy Court Clerk, Parks and Recreation Department Natural Resource Programmer, and Part-time Correctional Officer. Visit their site for updates. The City of Terre Haute periodically posts employment listings for Full Time Positions, Part Time, Temporary, and Seasonal Positions. Check their site for the latest vacancies. Vigo County Public Library periodically posts employment opportunities when vacancies exist. Union Hospital, repeatedly acknowledged as the area's Best Hospital and Best Place to Work, is looking for collaborative, compassionate individuals who want to make a difference in the lives of others. Open positions found had included New Graduate Registered Nurse RN, Nurse Practitioner, Pulmonary Nurse Practitioner, Nursing Care Manager, Child Development Center Aide, Benefits Analyst, Call Center Specialist, Clerical Jobs, Certified Medical Assistant CMA, Cardiology CMA, OB GYN CMA, Medical Coder, Echo Vascular Technologist, Orderly, Housekeeper, PRN Housekeeper, LCSW PRN, Licensed Practical Nurse LPN, Oncology LPN, OR Tech, Painter, Patient Care Technician, Receptionist, Medical Surgical Nurse, Registered Nurse Anesthesia Care, Telemetry Nurse RN, Ultrasound Technologist, Labor & Delivery Registered Nurse RN, Critical Care Nurse RN, Emergency Room Nurse, and more. Terre Haute Regional Hospital is a 278-bed community-based medical center with comprehensive medical and surgical programs. Here you may find open positions such as Psychiatric Unit Mental Health Tech, Registered Nurse RN Labor & Delivery OB, Imaging Receptionist Clerk Part Time, Director of Patient Safety, Registered Nurse RN Psychiatric Unit, Case Manager Registered Nurse RN Full Time, Registered Nurse RN Inpatient Physical Rehabilitation, Registered Nurse RN Intermediate Medical Care Unit, Certified Surgical Technologist Full Time Eve/Night Shift, Registered Nurse RN Acute Surgical Unit, Medical Surgical Clinical Coordinator RN Registered Nurse, Registered Nurse RN Emergency Room ER, Director of Pharmacy, Director of Patient Access for Terre Haute Regional Hospital, Patient Care Tech Medical Oncology, Registered Nurse RN Float Pool, Registered Nurse RN Medical Oncology Unit Full Time Days, Certified Surgical First Assist Surgical Tech, and Physical Therapist. Vigo County School Corporation hires teachers and a for variety of support staff positions. Examples of jobs found had included Adult Education Instructor, Education Assistant, Substitute Bus Driver, and Substitute Custodian. Kelly Educational Staffing hires substitute teachers, paraprofessionals, teacher's aides and non-instructional personnel and place them with schools across the country. KES offers benefits, training, scheduling flexibility, and the opportunities in education you're looking for. Indiana State University is a great resource that provides ongoing employment opportunities whether you are an educator or professional looking to work in a support staff role. Their jobs page is organized into the categories of Full-time and Part-time Staff, Full-time and Part-time Faculty, Federal Work Study Student Jobs, Regular Student Jobs, and Graduate Assistantships. A sample of support staff positions found on this review date included Police Officer, Electrician, Administrative Assistant, Staff Psychologist, Admissions Counselor, Senior Financial Analyst, Programmer Analyst, IEP Design Services Specialist, Web Application Server Administrator, Early Childhood Assistant Teacher, Development Officer, Usher / Gate Personnel, Bus Driver, Condit House Housekeeper, and Writing Tutor. On this review date, Rose-Hulman Institute of Technology had a variety of faculty and sipport staff positions available. Check for updates. Saint Mary-of-the-Woods College was hiring on this review date. Positions found had included Head Dance and Spirit Coordinator, Director of Facilities, Assistant Professor of Special Education, Assistant Professor of Education, Assistant Professor of Mathematics, Assistant Professor of Anatomy & Physiology, and Data Systems Administrator. With 11 campuses across Indiana, Ohio and North Carolina, many career opportunities exist at Harrison College. Since its early beginnings, the museum has more than doubled in size and has educated more than 230,000 children and adults from 22 counties in Indiana and Illinois. WorkOne has the tools to help you find your next job. Whether you are working directly with an Employment Advisor, attending a workshop, or using one of our online tools, WorkOne provides assistance in all areas of your search. Top employers in Terre Haute include some of the employers already listed on this Worklooker page as well as additional private sector employers.